In town on vacation or just looking for some new roads or trails, here are some of our favorite rides and routes. A great route for cyclist of all levels. This route of rolling country roads will take you just outside of town to some of our favorite local roads. This 62 miles route starts at Common Roots Brewery in South Glens Falls and brings you through the rolling hills of Washington County. With a mix of hills, lakes, and a couple dirt roads this is a beautiful loop! This tough but very scenic 65 mile route will bring you through the heart of Washington County. With over 3600' of climbing this ride will surly test you! This is one of the fastest shop loops we have. With only 1000' of climbing over 32 miles, this course sees average speeds of 22mph or more. It also makes for a great casual paced loop! There are multiple approaches to Summit Lake. This route will take you on one less traveled! 40 miles of challenging roads both paved and dirt, up hill and down hill, this ride will not disappoint! Looking to do a little gravel riding? Try this great loop that will take you along the Champlain Canal and over a classic steel bridge. This loop provides some awesome dirt roads close to town. The Crown of Thorns is a local climbing route that will test your legs. 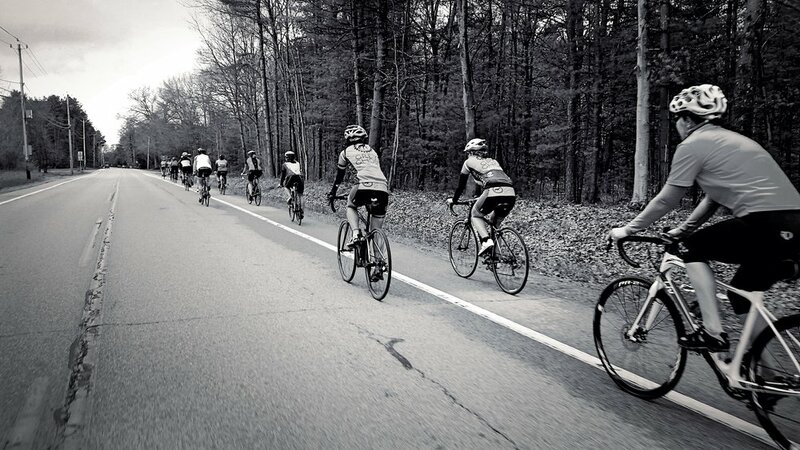 With grades over 20% these climbs are not for the faint of heart! The good thing is you're never far from home. Climbing over 3900' in just 33 miles this ride is a true leg burner! With climbs, dirt and rolling roads this route has a little of everything. Some of the climbs are long and more mellow, some are short and steep. At just shy of 40 miles with 2700’ of vertical this route will push you. Enjoy 35 miles of country roads in Washington County with just enough climbing to be tough, but still fun! This loop never strays too far from home, so cutting short is easy. This loop is a perfect morning ride or an after work burn! One of the more scenic ride through the Wilton/Gansevoort area. This 37 mile loop will take you along the Hudson River and then through the quiet country side of Wilton. A nice scenic loop through Kingsbury. This 28 mile loop is prefect for a morning ride before work or a summer evening. The profile of the land balances scenic flats with rolling hills. 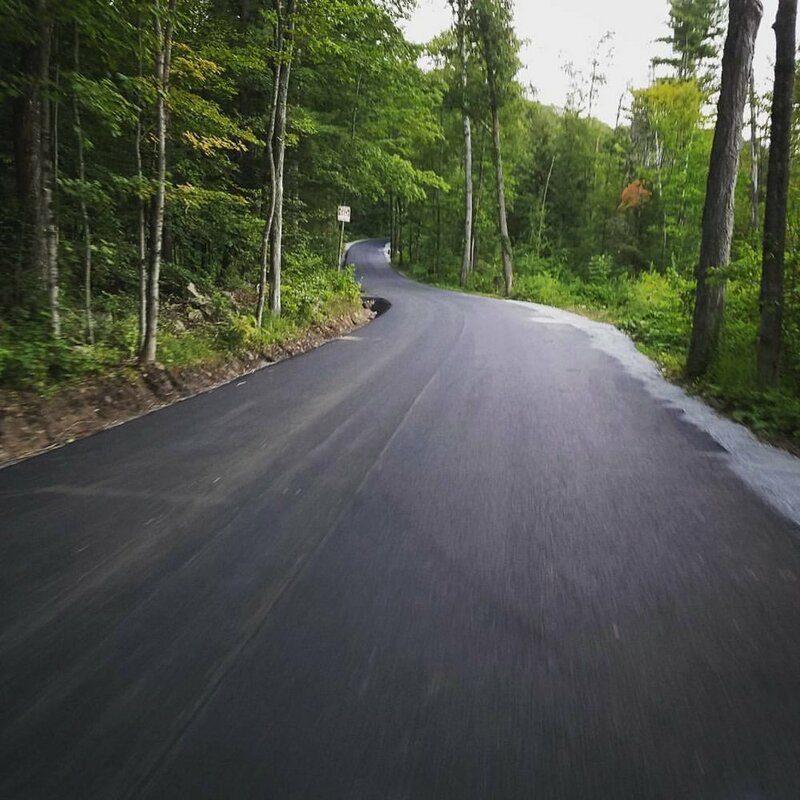 The seasonal toll road up Prospect Mountain is 6 miles of prefect highway with some of the best views of Lake George and the surrounding area. Bring a couple dollars because the toll road does have a small fee to ride up, but it is worth it! This loop will take you North around Brant Lake and down one of the coolest roads in the area. With good distance minimal climbing and great views, this is the perfect way to spend an afternoon! This chalenging ride will take you through some of the best parts of Washington County and into Vermont. The route passes by Kings Donut Cart in Cambridge and Mrs. Murphy's Donuts in Manchester. This one won't let you down. Make sure you get a maple bacon donut from Kings!